You’ve seen the headlines. Home Depot, Target, Staples and even JPMorgan Chase & Co. have fallen victim in recent months to hackers who stole their customers’ credit card and personal information. No company is immune to attempts by hackers, so cybersecurity is vitally important to anyone who collects financial and personal information from its clients. Almost a year ago, Carnival Corp. hired its first cybersecurity chief. 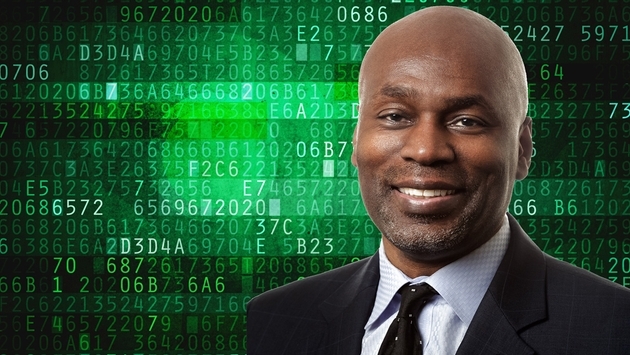 Gary Eppinger, a top-ranked security executive, joined Carnival Corp. last November as global vice president, global information security officer and privacy officer. That changed with the arrival of Arnold Donald, who became Carnival Corp. President and CEO in July 2013 after serving as a director since 2001. Donald immediately began promoting “communication, collaboration and coordination” between Carnival’s 10 brands in an effort to streamline procedures and save money. A major part of Eppinger’s position is protecting the credit card and personal information of its customers. And after reading this story about the possibility of hacking into an airplane’s navigation system, we just had to ask: Could some sick mind hack into a cruise ship’s computer system? “Our navigation systems are in a segregated offline network, so we built controls in place to prohibit things like that happening. But with every wall you put up, somebody’s always trying to break in, through or around that wall. We do look at it continuously, and whatever the odds are, they’re still too high." “Our navigation systems are in a segregated offline network, so we built controls in place to prohibit things like that happening,” Eppinger said. “But with every wall you put up, somebody’s always trying to break in, through or around that wall. We do look at it continuously, and whatever the odds are, they’re still too high. As he points out, though, there’s always a risk to every company or even that the country’s grid could go down any day. Security is a never-ending quest that is always changing as technology evolves. Before joining Carnival Corp., Eppinger was chief information security officer and vice president of information technology for the real estate and development, legal and pharmacy systems of Supervalu, a $37 billion grocery retail and supply chain. He is ranked 24th in ExecRank’s listing of “2013 Top Security Executive Rankings” and has more than 20 years of experience in the field. Carnival Corp. & plc operates 10 cruise brands including Carnival Cruise Lines, Holland America Line, Princess Cruises and Seabourn in North America; P&O Cruises and Cunard Line in the U.K.; AIDA in Germany; Costa Cruises in Southern Europe; Iberocruceros in Spain; and P&O Cruises in Australia. The company has 102 ships and about 91,000 employees worldwide. Miami-based MSH Group, a global talent acquisition and management consulting firm, headed the search for Carnival Corp.’s cybersecurity chief.